MEMBERS of the influential and powerful Marcos and Romualdez clans yesterday led the ceremonies marking the first year since Super Typhoon Yolanda devastated Eastern Visayas. At a memorial mass held at the mass grave in Tacloban City, they offered prayers and honored the more than 6,300 people who died on November 8, 2013. Former First Lady-turned Ilocos Norte Rep. Imelda Romualdez Marcos, Sen. Ferdinand “Bong” Marcos Jr., House independent bloc leader and Leyte Rep. Ferdinand Martin Romualdez, Tacloban City Mayor Alfred Romualdez, and City Councilor Cristina Gonzales-Romualdez, among others, joined the relatives of the victims in a mass held at the Holy Cross Memorial Park in Barangay Basper here where a mass grave for 2,274 victims was located. It was the first time that Mrs. Marcos set foot in Leyte following the Yolanda tragedy because her loved ones prevented her from going here because of health concerns. “She came here with a heavy heart. She bleeds for the survivors and those who died from the tragedy,” said Rep. Romualdez in an interview. In a press conference at Patio Victoria here, Sen. Marcos said his mother wished that the tragedy should have happened during the presidency of his father, the late President Ferdinand Marcos so that rehabilitation and rebuilding here and in other typhoon-hit areas will come very soon. “Sana kung nangyari ito (Yolanda), noong First Lady pa ako para marami akong maibigay (help),” Sen. Marcos quoted his mother as saying. 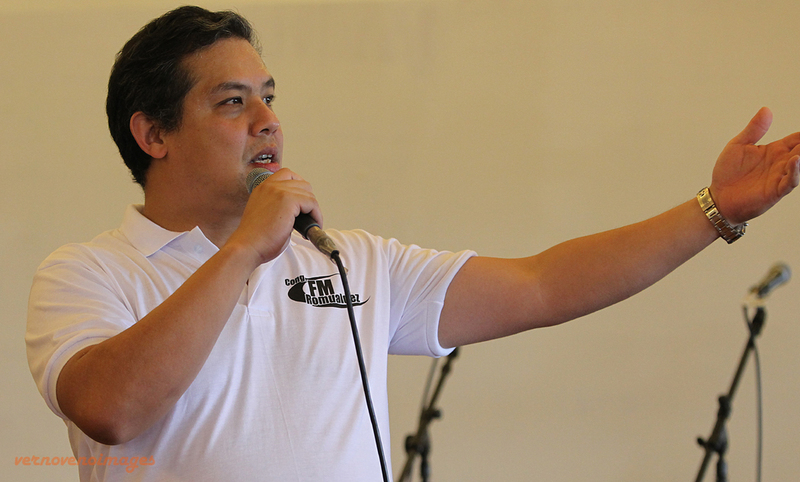 Mayor Romualdez expressed gratitude to the people of Tacloban City as he urged them to rise above all the challenges. “It is our vision to make Tacloban City a livable city where every Taclobanon can sleep soundly in the safety and comfort of a humane shelter and live a decent quality of life to live up to its potential of infinite possibilities for progress and growth,” said Mayor Romualdez. When asked his opinion over President Aquino’s decision not to visit Tacloban City during the one-year anniversary, Mayor Romualdez said the people will judge his action. “I leave that up to the President and basically tao na lamang ang maghusga diyan how they feel about it,” Mayor Romualdez stressed. “But as far as I am concerned, it would be nice if he visited also places that he has not yet visited so that he can see what’s going on there. Dito naman maraming government officials ang nagpupunta every week so in terms of monitoring progress and what’s going on, mayroon naman government officials na nandito,” he added. Aside from prayers, tears and protests also marked the one-year anniversary of Yolanda in the city known as the worst-hit by the strongest storm to make landfall. Streets have been lighted with candles as thousands of people held white balloons and candles while walking around here. The church bells and sirens also rang at the start of mass in a mass grave here. “We should make a meaningful commemoration because this is very important. The next generations will remember them,” said Mayor Romualdez. Various protests were staged by hundreds of different organizations like Storm Surge or a group of typhoon survivors demanding permanent housing and better jobs for the victims. “We have felt a year’s worth of the government’s vicious abandonment, corruption, deceit, and repression, and have seen a year’s worth of news and studies that confirm this situation,” said Efleda Bautista, a leader of People Surge.